FUNCTIONAL AND FASHIONABLE. The Morris provides modern day ease with its welcoming foyer and gorgeous great room that spans into the spacious kitchen. Throw in a load of laundry while you master your Mother’s recipe, then retreat upstairs to your secluded and sophisticated owner’s suite for the rest and relaxation you deserve. 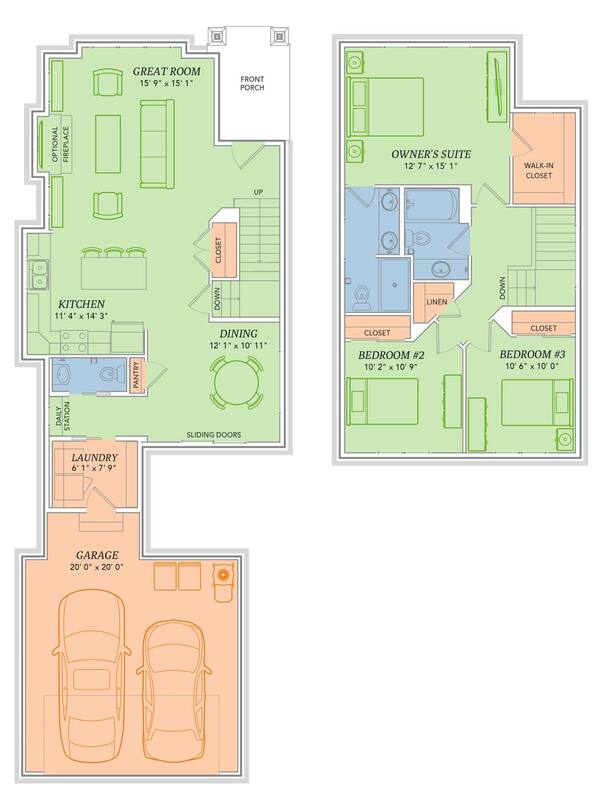 With an open, airy and convenient floor plan, you won’t have to go far to feel the comforts of home. Or back to the kitchen for that extra slice of pie.